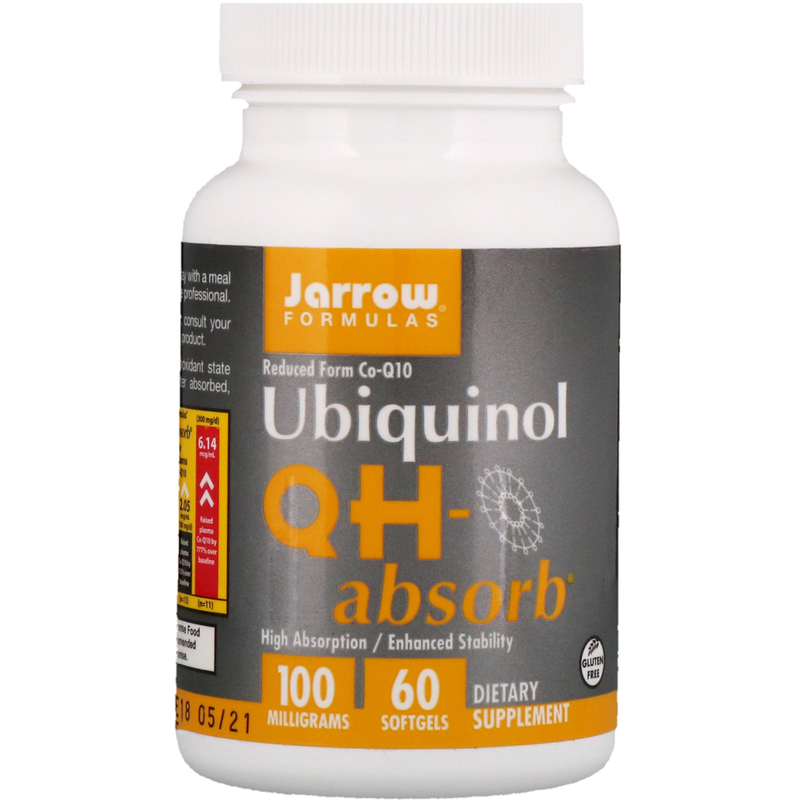 Cells produce Ubiquinol, the active antioxidant state of Co-Q10, which is significantly better absorbent, particularly as we age. QH-absorb is a proprietary, enhanced-stability formula clinically shown in humans to increase Co-Q10 levels by 215% at 100 mg per day and by 777% over baseline at 300 mg per day. 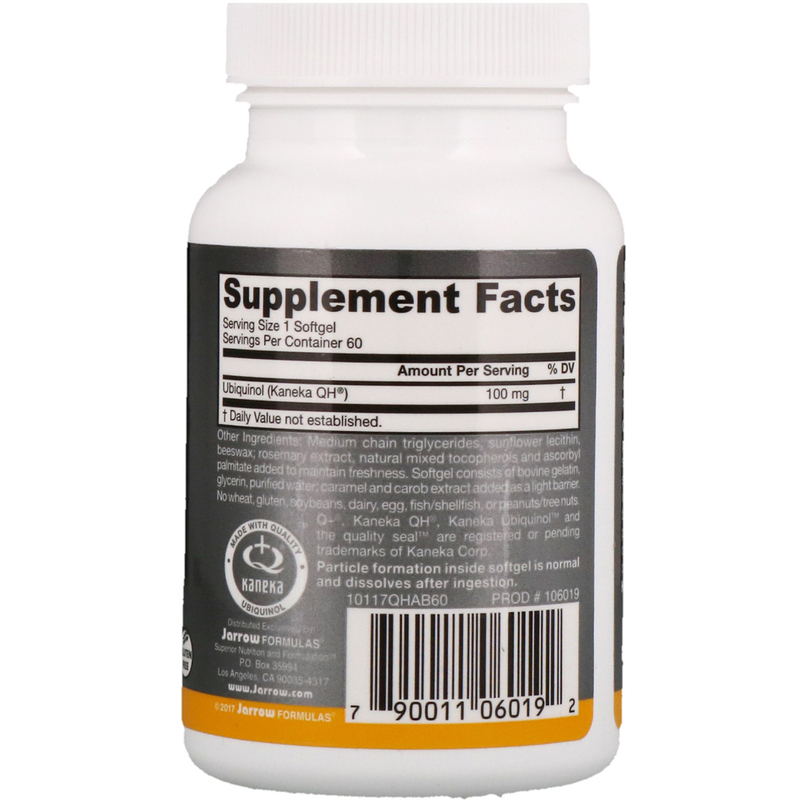 Medium chain triglycerides, sunflower lecithin, beeswax; rosemary extract, natural mixed tocopherols and ascorbyl palmitate added to maintain freshness. Softgel consists of bovine gelatin, glycerin, purified water, caramel and carob extract added as a light barrier. If you have a medical condition, consult your healthcare professional before using this product.